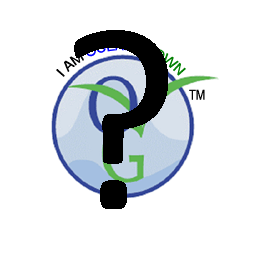 In recent days I was contacted by a person who wanted to start selling the OceanGrow fertilizer who asked me to be the head of a research team to do scientific tests to evaluate if there is actually any value behind the OceanGrown fertilizer. After going through its webpage and doing and in-depth review of scientific literature on the subject I have acquired quite a lot of information about this fertilizer and its real potential as an organic solution and replacement for traditional fertilizers. On today's post I want to discuss this fertilizer, which is supposed to be used on either soil or hydroponics, and give you my opinion as a scientist and what the currently available scientific evidence tells us about the effectiveness of this and similar products. The OceanGrown fertilizer is nothing more than sea water which has been concentrated - probably using reverse osmosis - to give us a fertilizer that is supposed to replenish the minerals lost in soil and provide plants with 90 elements for their adequate and healthy growth. The website has an overall pseudo scientific tone with absolutely no reliable scientific evidence shown and basing all conclusion on "facts" that have not been scientifically proved. For example, the website says that elements in sea water are in "ideal concentrations" when this has no scientific basis, no one has proved that certain nutrient concentrations are ideal and no study has actually been conducted to see if the concentrations of micro nutrients on sea water are ideal for plant growth. Besides this, the people at OceanGrown assume that having all elements is "good" when actually even small amounts of mercury, lead, cadmium and other heavy metals can cause chronic effects when eaten continuously. They also show evidence that the elements are absorbed by the plants fed with their product something which is absolutely obvious given the fact that ionic species are absorbed by plants since their absorption mechanisms are not extremely controlled. Does the fact that a plant absorb aluminium or gold prove that the element is essential ? No, plants absorb ionic species without too much selectivity and when you feed a plant with a solution containing non-essential nutrients the plant is bound to absorb some. This effect is widely studied in science to remove heavy metal contamination and other ionic species using plants. There is no scientific evidence that points out that any elements besides C, H, O, N, P, K, Mg, Ca, Fe, Zn, Mn, Cl, Mo, B, S and Cu are essential to plant life or needed for the adequate and healthy development of plants. The "essays" carried out to test this fertilizer's efficiency also lack any use of the scientific method and fail to discard very plausible causes of this fertilizer's sometimes positive effects. For example, increases in conductivity have been found to improve certain crops in hydroponic culture so the effect of this fertilizer might only be of ionic strength increasing which might help certain crops achieve better results. It is also possible that some micro nutrients - which are depleted in soil - might be added by this fertilizer but in the long term the excessive amount of sodium and chloride ions contained in sea water is bound to cause problems. The evidence that increased sodium concentrations in hydroponic crops causes damage to plants is a well established fact in the scientific community. The people at OceanGrown seem to be trying to sell a fertilizer with extremely limited and lack of adequately confirmed evidence based on a series of pseudo scientific facts that are not adequately backed up by our current understanding of how plants work. This fertilizer might be able to work to some extent but the reasons why it does or if it causes any long term problems and damage to soil needs to be addressed to confirm the viability of this solution. Right now there is not even one single study published on a peer-reviewed scientific journal that talks about the effectiveness of OceanGrown or true scientific essays done with this solution. It seems evident to me that similar effects as the ones shown by this fertilizer might be achieved by a simple application of an adequately formulated micro-nutrient mix and that positive effects from all the trace elements found in sea water might be limited or undetectable at best. In conclusion, I think that the OceanGrown fertilizer is a big business based on selling sea water that is currently based in pseudo scientific results. There is no evidence that plants need or benefit from 90 different elements and there is also no evidence that shows that this fertilizer has no long term ill effects due to the excessive sodium enrichment of soil. If this people were truly serious about proving that their fertilizer works in a unique way based on all of its trace elements they would have made adequate scientific trials years ago with reputable scientists from world renowned universities. My advice if you are thinking about using this solution would be to use what we know and have determined works for plants. The application of adequately formulated micro nutrient blends and full fertilizers is a much better solution than a pseudo scientific mess with no adequate scientific evidence of unique results. Of course I am a scientist and as soon as there is a peer reviewed publication on a well-respected journal done by an unbiased researcher I will be the first to reexamine my conclusions and use this fertilizer. Meanwhile OceanGrow remains unproved and their claims or at least their explanations, remain pseudo scientific. Obviously this poster did NOT do the research he claimed. If soil is lacking certain minerals, the plant grown in that soil will NOT be able to uptake/produce those minerals. Period. OceanGrown provides a natural source of minerals for the plant to use as it needs. Reliance on typical NPK fertilizers (which neglect TRACE minerals) will cause a mineral imbalance within the soil. As a result, there will become less and less trace minerals available (and excess of unbalanced NPK minerals) within the soil, and hence, less available for the plant and of course, eventual consumer. Using genetically modified & hybrid plants will NOT overcome these problems. "The OceanGrown fertilizer is nothing more than sea water which has been concentrated." The salt concentration is NOT concentrated when properly APPLIED. It's only concentrated when in packaging, as are rock phosphates. Duh. It's obviously not meant to be applied without dilution. A very DILUTE ocean salt solution IS very beneficial to plants (as evidenced by many successful scientific trials). OBVIOUSLY it's not meant to be applied as a hypertonic solution. Controlled research HAS been done with VERY good effects. If the poster had bothered to read either Sea Energy Agriculture or Fertility from the Ocean Deep he'd know that. Results speak for themselves. And there are plenty (of successful ones) with OceanGrown. As a side note - OceanGrown tends to able plants to become highly insect/pathogen resistant and encourages heathy soil life. Conventional growing, however, leaves soils sterile and open to attack by insects & viruses. In my review of SeaAgri and the general concept of seawater for plant growth, I came to the same conclusions as Daniel. <br /><br />I don't have the link, but there are tomato growers who water stress plants by giving just 36ppm Na! <br /><br />Yes, the oceangrown and seaagri must be diluted, and perhaps it is helpful as a micro nutrient blend. I use 36ppm SeaAgri with my hydro plants. But more than that is not proven to be beneficial. <br /><br />Also, I sent an email to SeaAgri asking about the high Alumiuium level and it's link to Alzheimers. I was told it was fine (email below). Hmmmm.....that is not convincing.<br /><br /><br />----------------<br />Aluminum is not an element that scientists are concerned about with regard to agriculture, animal mineral or food grade salt. <br /> <br />Best Regards,<br /> <br />Robert Cain<br />President<br />770-361-7003<br />robert@seaagri.com<br />www.seaagri.com<br /> <br /><br /><br /><br />--------------------------------------------------------------------------------<br />From: Paul Drayton [mailto:paul@xxxxx.com] <br />Sent: Friday, May 21, 2010 9:13 AM<br />To: robert@seaagri.com<br />Subject: Al ppm<br /><br /><br />Hi, I have some of your salts, but was concerned about the 188ppm Aluminum content in the GA university analysis. I have read that 4ppm Al is toxic in human blood. Do you have any thoughts on this? Thanks. As a marine scientist I can back up the claims that seawater certainly contains every element currently on the periodic table in some form and in varying concentrations But this also includes the lead, arsenic etc the bad stuff. Im sure everyone is aware that tiny amounts aren't harmful to plants are humans, and if administered in a diluted form there is bound to be no issue but the affects on the soil ecosystem over a long period of time need to be considered. Biomagnification and accumulation by soil living organisms could eventually render the soil toxic. People should also be aware of where this seawater is coming from, while the balance of elements is generally the same everywhere (constancy of composition) seawater will inevitably contain any toxic chemicals present locally, this includes industrial byproducts such as chromium, cadmium, mercury and PCBS. I am interested in the seawater hydroponics ... and I count my remaining days before deadline of my papers. I have not started yet because of the the is, I am not sure if I can grow my plants on sea water .. my title in research is "Growth of 3 plants (tomato, kapchoi and lettuce) with different water bases(salt water, tap water and lake water) in hydroponics" .. please help me Dear Scientists and fellow researchers. Thank you Daniel for doing the reading and translation of studies about ocean water as fertilizer. I found this page because I wanted to know whether it is true that agriculture can better use abundant sea water (as long as it's taken from a clean place) instead of the energy-/oil-intensive fertilizers that are used now. If I understand your writing correctly, your conclusion is that we should start using ocean water as fertilizer only after someone has conducted and published a scientifically sound research that proves that, in the long term, no mineral will accumulate to a harmful concentration in the soil, the plants or the produce. This raised three questions in me: 1) Are there any sound scientific studies published that undeniably prove that the currently used fertilizers are not leading to harmful mineral concentrations or a harmful lack of minerals in human nutrition? 2) Is it fundamentally possible to do such a study? <a href="http://en.wikipedia.org/wiki/Karl_Popper" title="Wiki Page" rel="nofollow">Karl Popper</a> claimed that it is beyond science to prove anything for sure. Science only has the power to disprove. A 'proof' of a hypothesis gains power only by the rigor of failed attempts to disprove it. 'Scientific proof' can make no claim to hold truth other than in a highly-plausible-until-disproven kind of way. 3) How should a study be set up to confirm or reject the safe use of a fertilizer? In other words: What would be a good way to try to disprove the claim that it is a good idea to use ocean water (or any other substance) as fertilizer? If the answer to question 1 is "no", why put more trust in conventional fertilizers than in ocean water? Is it safer to exclude the minerals from our food which are beyond the current scientific understanding of how all life works, or is it safer to have all minerals in the concentration with which current life on earth has evolved and adapted for millions of years? In terms of trusting what has been used before and so far has not led to any noticeable problems: Isn't there plenty of evidence that sea-clay can be a safe and productive source of agricultural nutrients and that these nutrients are depleted over time leading to the requirement of mineral amendment? Isn't it true that the nutrients that get into the produce will, by definition, not accumulate in the soil (since they are taken out with the produce) and that the minerals that do not get into the produce (and thus might accumulate in the soil), will at least not pose any risk to the safety of the produce? Daniel, according to you:"the long term effects of even a 100ppm Na solution are detrimental for plant growth. This has been proven in several peer reviewed studies" Please provide links to these peer reviewed studies as I would like to study them. To people from the above mentioned company who continue to try to add comments. Please only comment if you have links to peer reviewed literature on academic journals. I will not publish any comments where you attempt to defend your products without evidence (by evidence I mean peer reviewed publications, not your degrees). Thank you for the article Daniel. My thoughts exactly. They are sin the business of selling plastic jugs. It's ludicrous. Also. I have used SEA-90 at the rate of 2cups per 50gal bucket over the course of a couple of months. Then sent in a soil sample. My sodium levels were through the roof. The end.